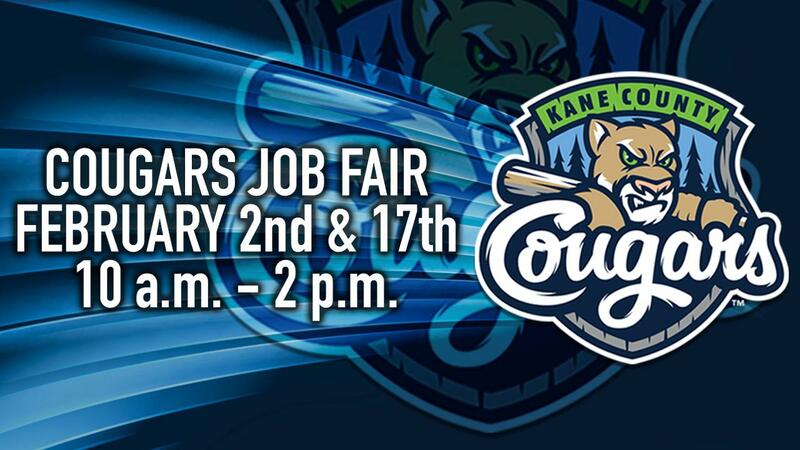 GENEVA, Ill. - The Kane County Cougars will hold a job fair for prospective seasonal employees on Saturday, February 2 and Sunday, February 17 from 10 a.m. until 2 p.m. at Northwestern Medicine Field. Those interested are encouraged to visit the ballpark at any time during the four-hour window to complete an application. Applications are also available at kccougars.com or can be picked up at the Cougars front office, located at Northwestern Medicine Field. For additional questions, contact the food and beverage department at 630-232-8811. For updates on tickets and promotions for the 2019 season, follow the Cougars on Facebook, Twitter and Instagram. The Cougars, Class-A Minor League affiliate of the Arizona Diamondbacks, have been at the forefront of family-friendly entertainment since 1991. In 2015, the franchise became the first Class-A team in Minor League Baseball history to welcome 11 million fans through the gates. A total of 161 former Cougars have reached the Major Leagues including Miguel Cabrera, Nelson Cruz, Josh Beckett, Adrian Gonzalez and Kyle Schwarber.